The key to a healthy relationship is not just managing money but understanding how the other approaches money. Every couple argues about money. It doesn’t matter if you’ve been married for 40 years or dating for 4 months, money touches every decision you make as a couple. And when the two of you don’t see eye-to-eye on how much to spend or how much to save, that’s when arguments turn into ugly toxic fights that leave both persons feeling hurt and angry. It’s why money has become the #1 cause of divorce in the U.S. Obviously, something needs to change. The reason this crisis has not been addressed is because it has never been identified, defined, or given a name. Scott and Bethany Palmer, aka “The Money Couple,” have identified and defined this problem and offer concrete solutions to fix it. 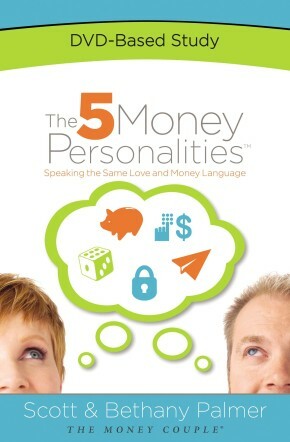 With The 5 Money Personalities ™ DVD-Based Study, you can get to the root of money arguments and start really working together. 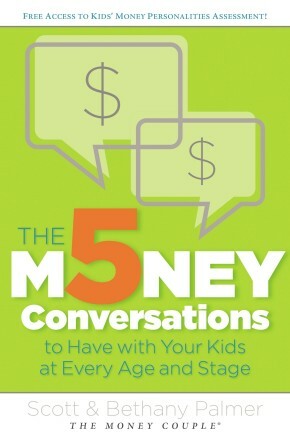 You’ll discover what has an impact on your loved one’s money decisions, and you’ll learn how to talk about money in a way that’s actually fun! You’ll figure out how to put an end to money secrets and lies once and for all. Additional Guidebooks available for purchase (9781401678333).